I've had the Hammerhead Land SUP board in my garage for a couple of weeks now, but because it never stops raining I haven't used it as much as I hoped. I have, however, managed one dry outing, and have had time to formulate some thoughts on this relatively unusual activity. Hammerhead’s unique, patented board consists of a multi-ply Baltic birch deck, real SUP foam deck padding, black 70 mm 82A density Divine Road Ripper wheels and a choice of either the Caliber 50 trucks or Gullwing Sidewinder trucks. My first thought was "Why buy this? 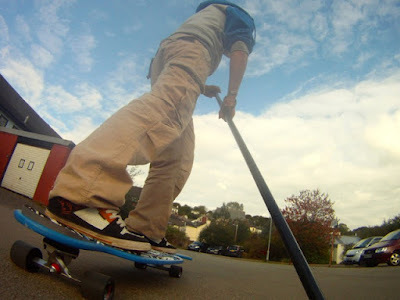 ", thinking that going out with a standard longboard and a yard brush would give much the same experience. It doesn't. The Hammerhead has been designed to simulate accurately the Stand Up Paddling experience. And it does so. 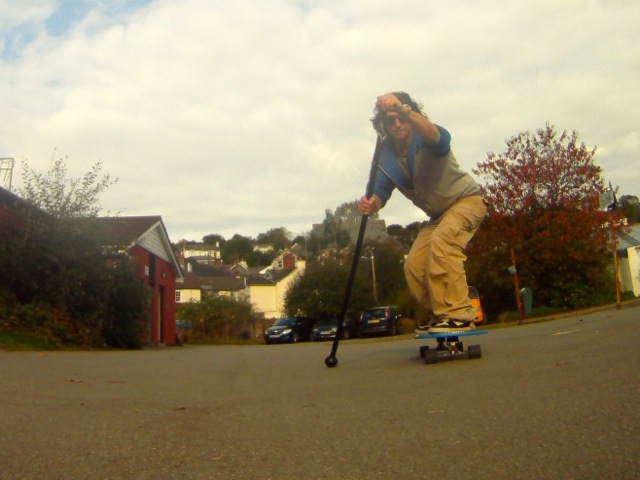 It's not like riding a skateboard - it really is like paddling an SUP. 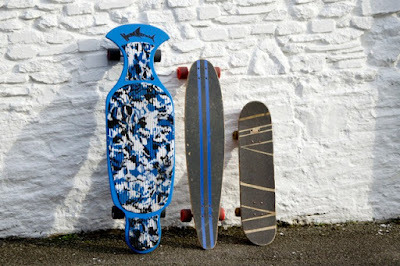 The board is vast, a completely different scale from a longboard, and you can move around on the foam padding feeling just as you do on the water. I even managed to hang ten on my first day! 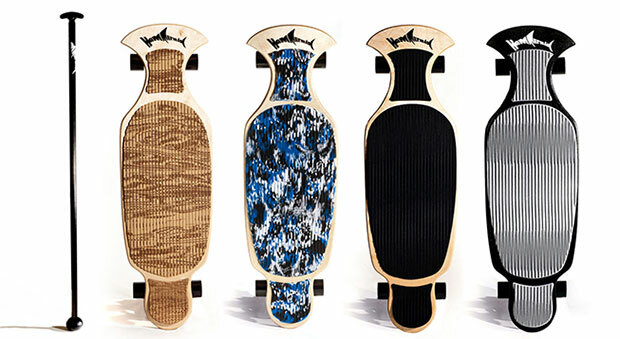 The special board shape is specifically to allow aggressive riding without fouling the paddle on the wheels, and it works! The durable rubber ball foot on the three piece, adjustable paddle provides just the right amount of grip on the tarmac. It's great for paddling, braking or support, and facilitates moves like tail-slides that I'm not quite brave enough to commit to yet! This carbon paddle would normally be around £200 on its own, but it's included in the price of the board. Adjustable carbon shaft to suit all paddlers. 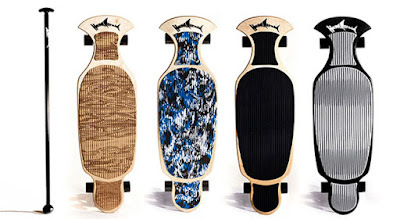 Still thinking the board looks pretty expensive? Well, it's not cheap, but what you're getting is a very big piece of kit. Everything on it is huge. The trucks, the wheels, the deck itself. Enormous. Although, surprisingly, not that heavy. And if you think about it, your SUP board plus composite paddle probably cost not far shy of £1000. So this, with the paddle included, is a pretty affordable bolt on to maximise the quality of your water time by training on land as well. The tail has a wedge which works like a kick-tail and helps drive slides, too. I've got the 10" Calliber 50 (that's 50º, btw) trucks, which are great for carving and jibbing around - the Gullwing Sidewinders are dual-pivot trucks suitable for serious downhill use.